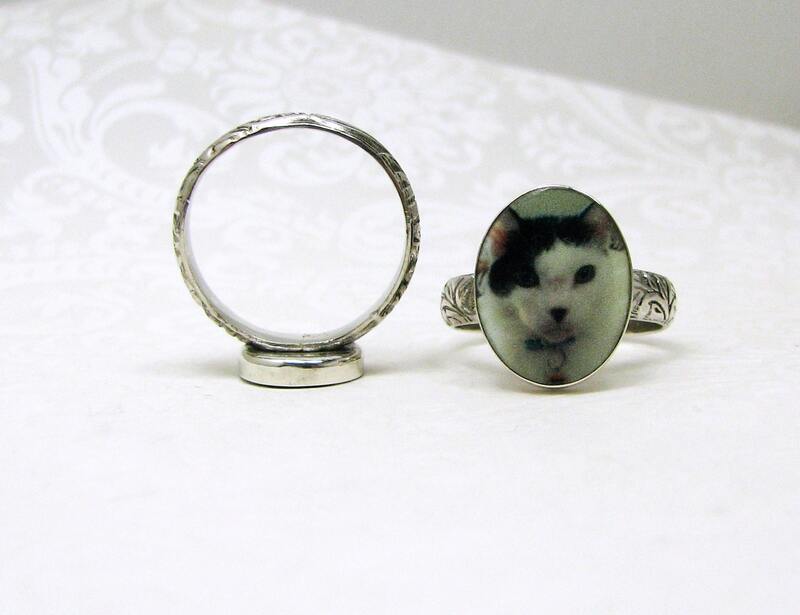 These beautiful rings hold a photo tile with your favorite image baked right in the clay, and sealed to a glossy, waterproof finish. 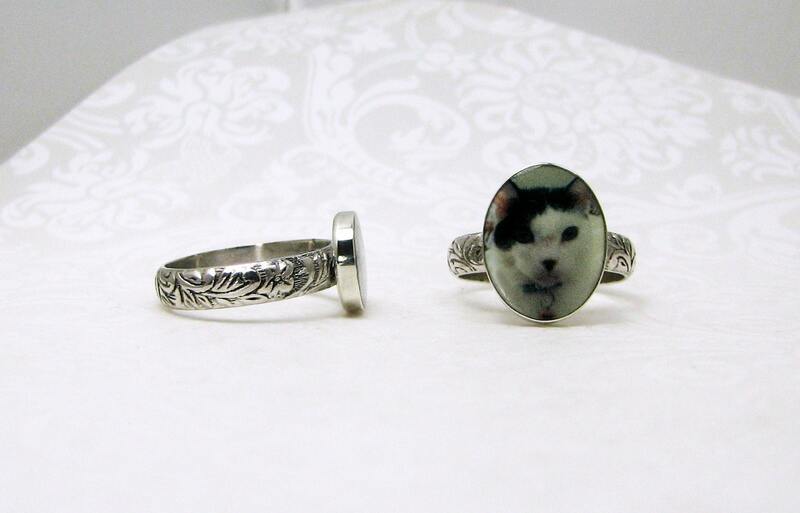 These rings are very lightweight. They have a gorgeous band with a floral design. 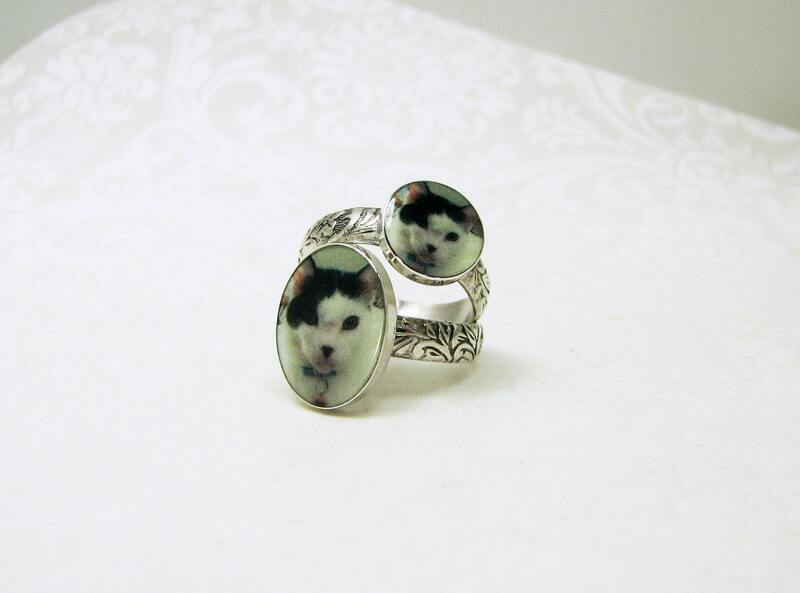 You can order them to match, or use two different photos. Order them to fit up to size 9. The oval photo tile measures 12x16 mm and the round photo tile is 10 mm across. Also available with a square, or a round photo tile by request. I recommend having your finger measured by a jeweler if you question the size at all. 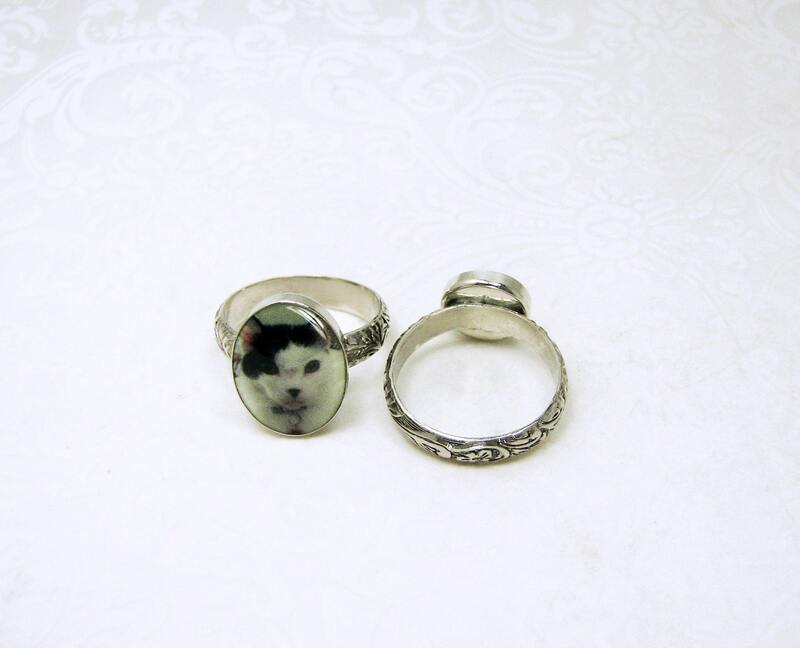 You can view more sterling rings here: https://www.etsy.com/shop/DelaneyJewelry/search?section_id=6002848. 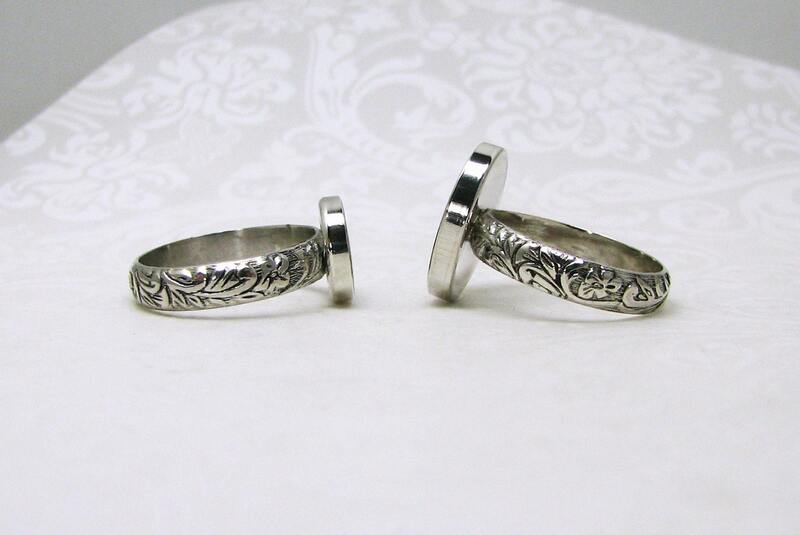 *This listing is for two rings. Send a request to DJD [!at] Q.com for a quote with a quantity discount. No order is too large.